Alexander Wang’s living room is all about the pretty decorative touches, from the replacement mirror-panelled door to the button back sofa. 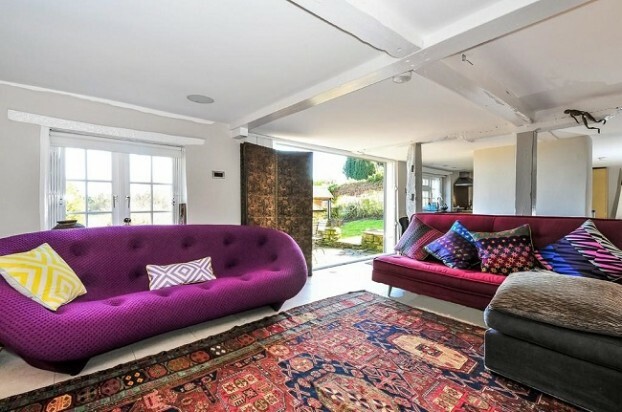 Also take note: there’s nothing to say you can’t lay a matching rug on top of a carpet, it merely ups the luxe factor. When two designers known for their understated and minimalist beauty combine on a house it is a match made in heaven. Case in point, Calvin Klein’s Miami Beach house designed by Axel Vervoordt. 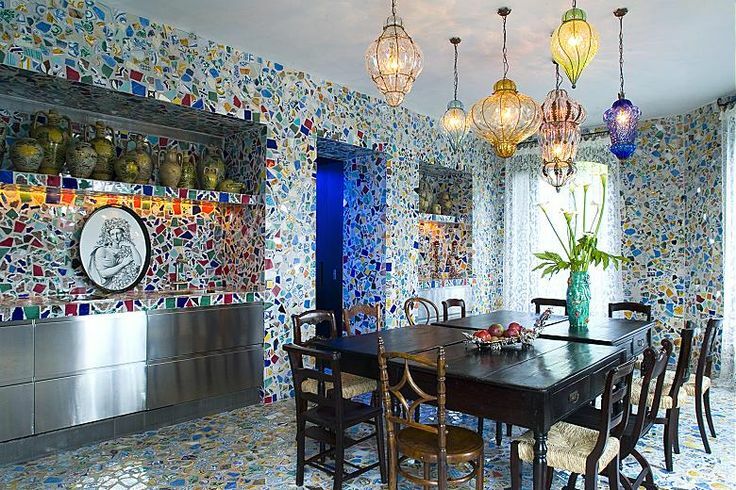 Leopardskin chairs, gold mosaics and Naomi Campbell in the guest bedroom – it can only be Dolce & Gabbana’s seaside holiday home. 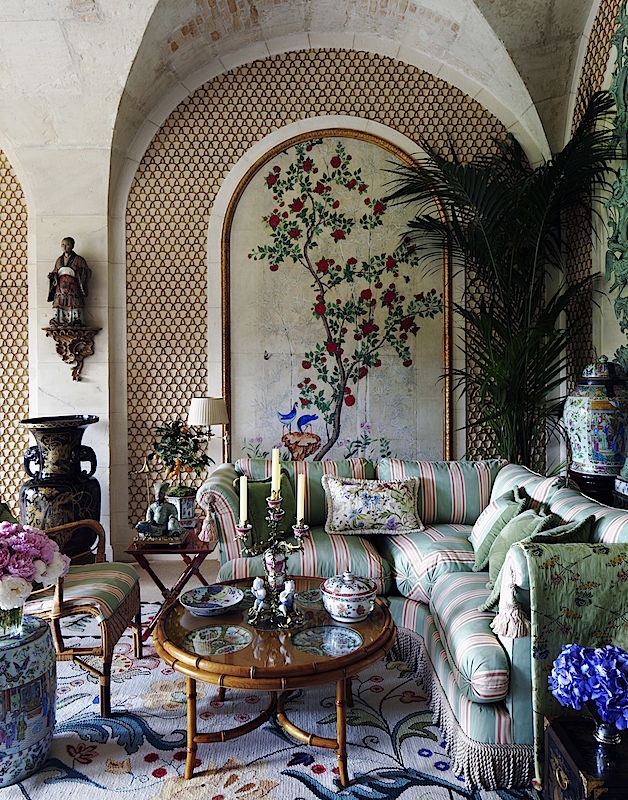 Fashion designer Tommy Hilfiger and his wife, Dee, relax in the living room of their Miami-area home, which was decorated by Martyn Lawrence Bullard. 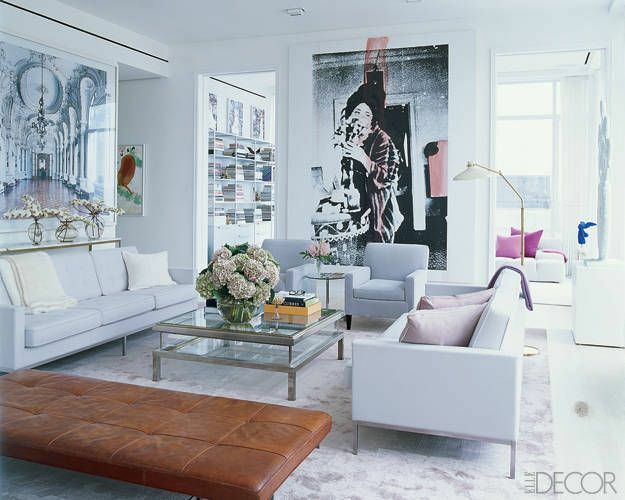 A collaborative painting by Andy Warhol and Jean-Michel Basquiat sets the chromatic tone for the room, where Vladimir Kagan sofas from Ralph Pucci International join a vintage cocktail table from JF Chen, Willy Rizzo side tables, and a Kyle Bunting rug designed by Bullard. 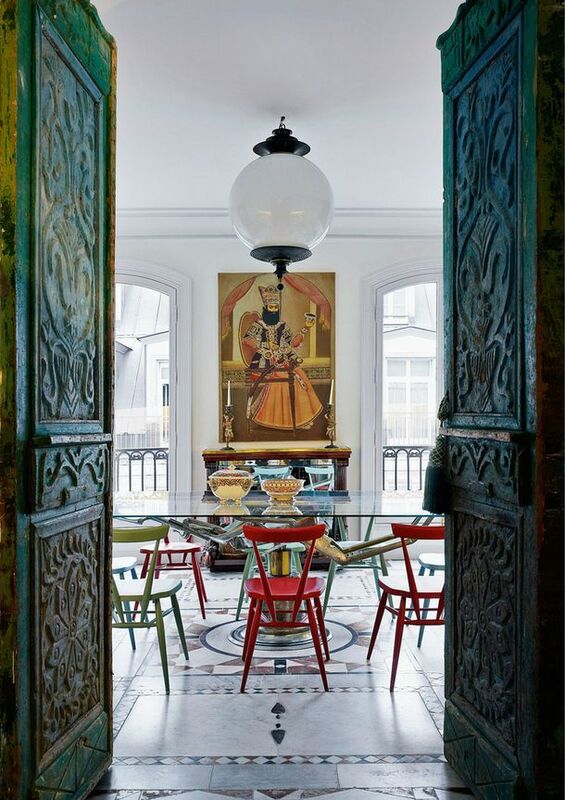 At her new Milan abode—and in her new role at Tod’s—the designer finally feels at home. Facchinetti, in her living room, wearing clothing from her fall collection for Tod’s; the couch is from the 1950s, and the pair of Dimore Studio coffee tables were made exclusively for her. Styled by Viviana Volpicella. The former seaside retreat of one of the UK’s most controversial fashion stars has gone on sale. Five years after Alexander McQueen’s death his secret two-bedroom East Sussex hideaway has been put on the market with a guide price of £695,000. From the outside the modest stone built granary appears a world away from the bright lights of the catwalk and the influential designer’s flamboyant public image. But nestled down an unmade road, the centuries old property was a refuge for the star, whose private life was blighted by battles with depression, drink and drugs. McQueen hanged himself at his main home in London’s Mayfair after taking a mix of cocaine, tranquillisers and sleeping pills, in February 2010. 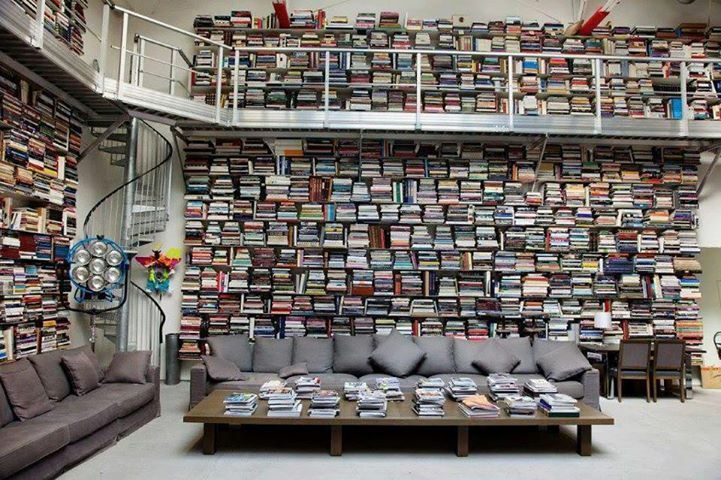 Diane Von Furstenberg’s Manhattan penthouse. The portrait is by Zhang Huan; Von Furstenberg created the leopard-spot carpeting for the Rug Company. The armchair is by Michael Graves. Living in the same home in Florence for 35 years, Roberto and Eva Cavalli have amassed a museum’s worth of fine art, from Renaissance showpieces to contemporary paintings. But their greatest treasure is their ever-expanding family. And that includes a menagerie of birds, dogs, and tropical fish. American fashion designer Donna Karan’s New York apartment serves as both spa retreat and partypad – the ultimate style sanctuary in the city. Tamara Mellon’s $30 million, 9000 square foot New York penthouse. The famed designer reinvigorates his Manhattan apartment with spare, all-American glamour. The library’s wall of lacquer shelving serves as a backdrop for a custom-made sofa, armchairs, and cocktail table by Ralph Lauren Home; the binoculars are antique, the vintage floor lamps are from Wyeth, and the silk rug is by Stark Carpet. 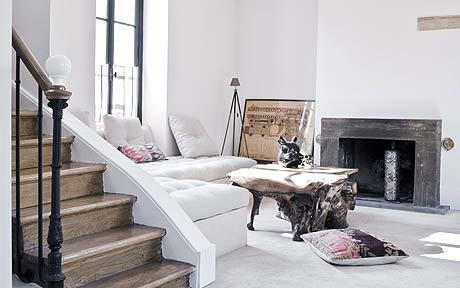 Jill Stuart’s breathtaking New York City apartment. 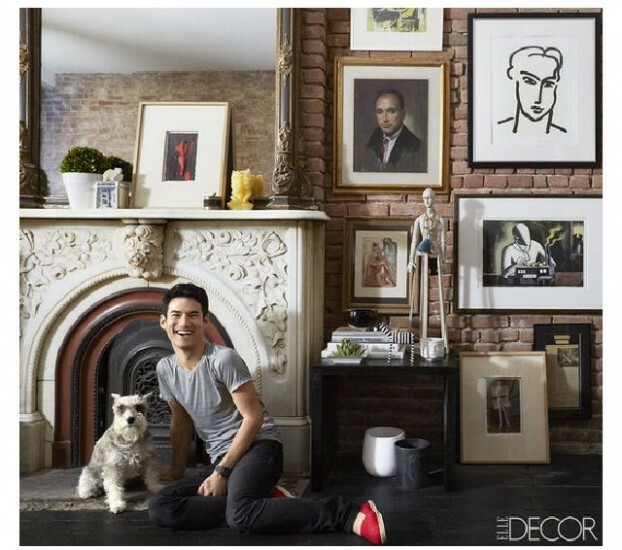 A lively, young fashion designer lives with ace art, sleek furniture, and million-dollar views. Those seeking tranquillity rarely look to New York City to supply it. 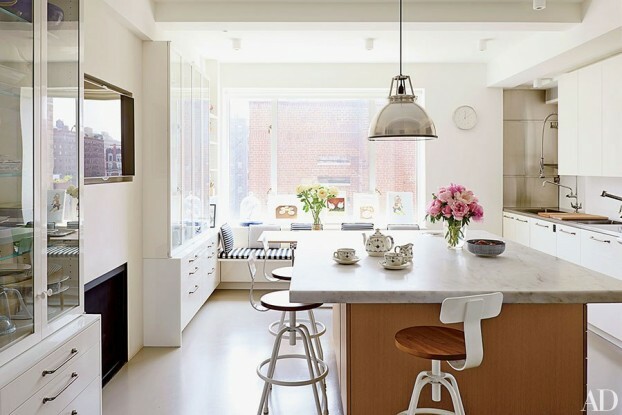 Yet fashion designer Jill Stuart, known for flirty dresses favored by celebrities such as Kate Bosworth, Leighton Meester, and Hilary Swank, found exactly that in her serene SoHo penthouse. 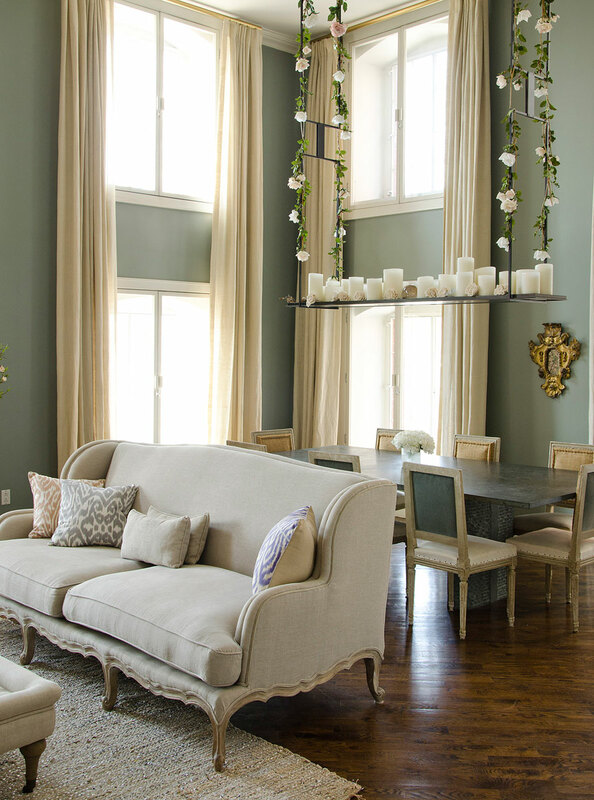 This pistachio-and-gold dining room is a study in understated elegance—much like its graceful occupant, fashion designer Carolina Herrera. 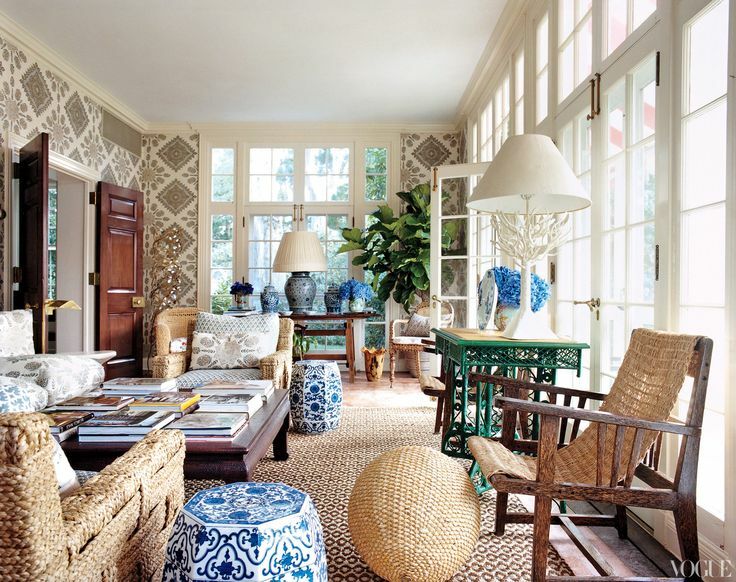 Tory Burch transformed a sprawling Gatsby-era Southampton manor into a convivial environment fit for family living. Isaac Mizrahi’s Greenwich Village home channels the designer’s trademark flair, its airy rooms accented with a lively mix of colorful artwork and urbane antiques. The kitchen features cabinetry by Bers and stools by Makr. Fashion icon Tom Ford, the ardent perfectionist credited with turning around a flagging Gucci and reinvigorating Yves Saint Laurent, is, unsurprisingly, just as exacting about his residences. By 2004, Ford’s personal property empire extended to London, where he acquired this 8,200-square-foot white house for around $9M. 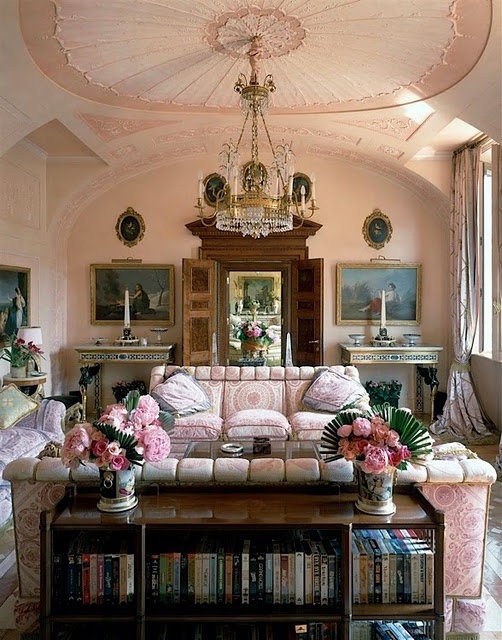 Not one for turn-key houses, the designer completely redesigned the interiors, turning the staid British mansion into a stylish private palace befitting one of fashion’s biggest guns. In the interim, the London property market turned red hot, fueled, in large part, by foreign cash. Seeking a big payday, Ford listed this house in 2009 for more than $70M, but failed to find a buyer before delisting. In 2012, the house finally sold, to an undisclosed buyer for an unknown sum, and Ford was soon spotted house hunting elsewhere in London. Karl Lagerfeld says the darnest things. His quotes will make you laugh, angry, and even raise an eyebrow or two (sometimes all three at the same time). So, it’s hard not to wonder what goes on in his mind, or what kind of a life he lives. Granted we may never really understand, here’s something that may give you more insight: Lagerfeld opened up his apartment in Paris to Architectural Digest. A Modern Fairy Tale “I like everything to be a little magical, a little whimsical,” the designer says. “So I covered this Holly Hunt candlw chandelier with some vintage silk roses. The whole thing runs on electricity, but some people think they are real candles and ask if I climbed up on my table to light each one”. Fashion designer Nija Munthe’s apartment is filled with personal touch, muted colors, black and white and gorgeous little details. After putting the finishing touches to his latest collection, Marc Jacobs’ right-hand woman likes to slip into something simple but ravishing -a centuries-old village house near Versailles.